We are extremely proud to announce that our President/Owner/Engineer Mark Gillis, P.Eng. 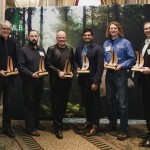 was awarded WoodWorks Atlantic’s inaugural Atlantic Engineer Award at their Awards banquet on March 25, 2015 (that’s him, second from the right). 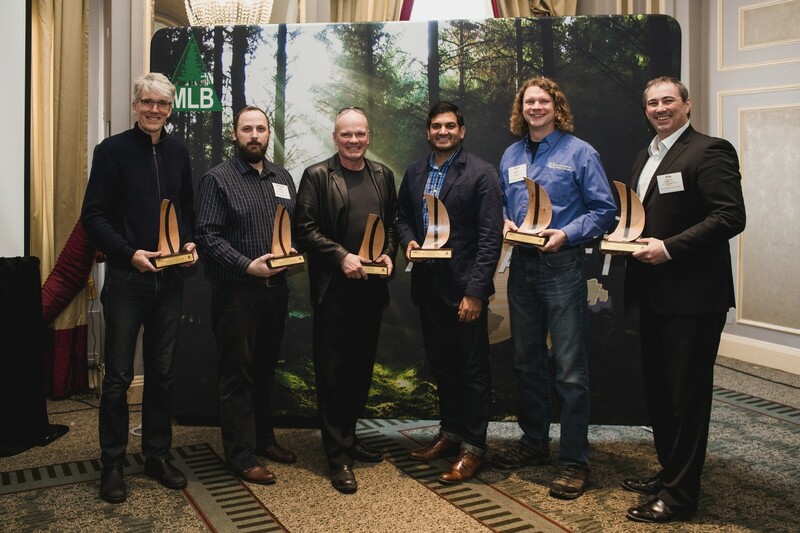 Joining mark in accepting awards that day were Keith Tufts (Lydon Lynch) for the Lunenburg County Lifestyle Centre (Gillis & Company were the installers for the glulam beams and 17,000 sq.ft. of 3×6 T&G decking), Michael Colpitts (Murdock & Boyd) for University of New Brunswick (UNB) Bailey Hall Theatre Renovations, Brian MacKay-Lyons (Mackay-Lyons Sweetapple) for the Atlantic Architect Award, Omar Gandhi (Omar Gandhi Architect Inc.) for the Moore Studio project and Rob Menchenton (Fougere Menchenton) for the Southlands Community Center. We congratulate all of the winners for their amazing work and fine details. We look forward to working with them, and hope to see more wonderful work here in Atlantic Canada. This entry was posted onTuesday, June 16th, 2015 at 10:53 am and is filed under News. You can follow any responses to this entry through the RSS 2.0 feed. You can leave a response, or trackback from your own site.